‘Insula Sacra’ Artwork & New Band Photo Unveiled! We thank Mr.Thomas Ewerhard for his great works. Finally, we chose 11 songs for “Insula Sacra”. 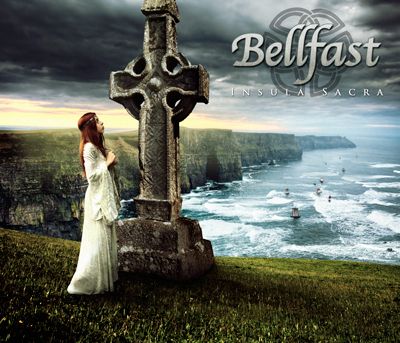 Bell’s Air (Intro), That’s Ireland, Sail Under the Midnight Sun, Back to Beautiful Mars, Odin’s Call, Winter of Death, The Lone Horseman (temporary title), The Druid Song, Deadly Oath, Celtic Drum, Winds of Ganeration (temporary title). Total running time is 58min! We decided the album title to be “Insula Sacra”. Based on a Greek original from the early 6BC, It refers to Ireland as “Insula Sacra” (Sacred Island). Recording is also advancing. Please wait for the day of completion! The German artist Thomas Ewerhard known for works such as AMON AMARTH and THERION etc., create the artwork of our coming album. We are recording the rhythm tracks at the STUDIO NEWS90 near Nagoya (Aichi, Japan). The work of 6 songs was completed, and 5 more songs remains. Our studio scenery was posted on Gallery: Misc Photos. Check it out! Mix & mastering of new album will be carried out at Swedish Sonic Train Studios by Andy LaRocque (g/KING DIAMOND). Please expect a great work! “That’s Ireland (Acoustic Version)” we played last Sunday’s “METAL SAGA” was posted on YouTube! Our first acoustic gig in May 8th got a great success. We are thankful to all the fanatic VIKING guys gathered in the bar. And the photograph of the night was posted to Gallery. Check it out! We have started pre-production for our long-awaited 1st full-length album. Recording will start in May, and all the processes including mastering will be completed in mid-October. BELLFAST have been confirmed for METAL SAGA as guest performer. 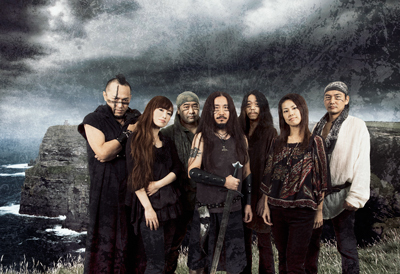 METAL SAGA is DJ event which specialized in the Folk/Viking Metal at Rock no Cocoro (Rock Bar/Shibiya, Tokyo, Japan) in March 8th (Sun) 2009. We will try to play several songs arranged unpluged acoustic version.